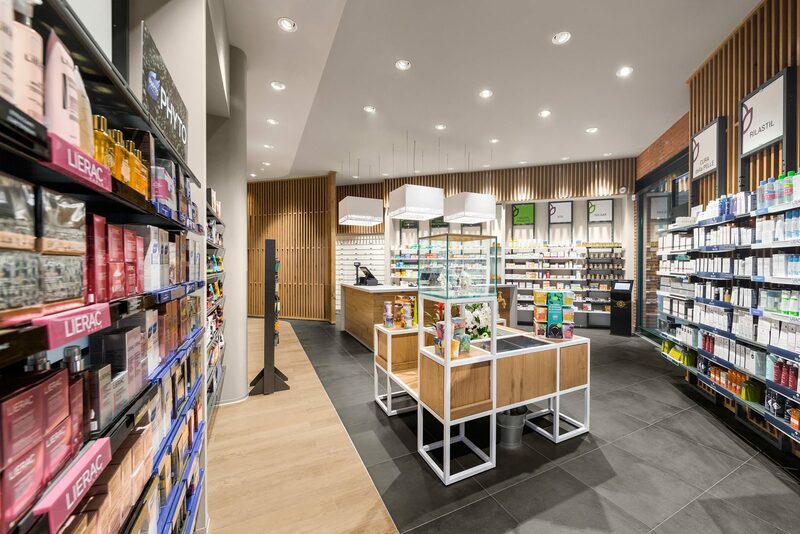 The project Farmacia Riva goes around a unique and big aim: transform irregular ant irrational spaces into a pleasant place where to accompany customer through a health path, where he can feel listened and advised. An ambient that promotes interactions and relations, giving place to meeting’s occasions that go beyond shopping experience, leading customer to rediscovery authentic values on balance with context. 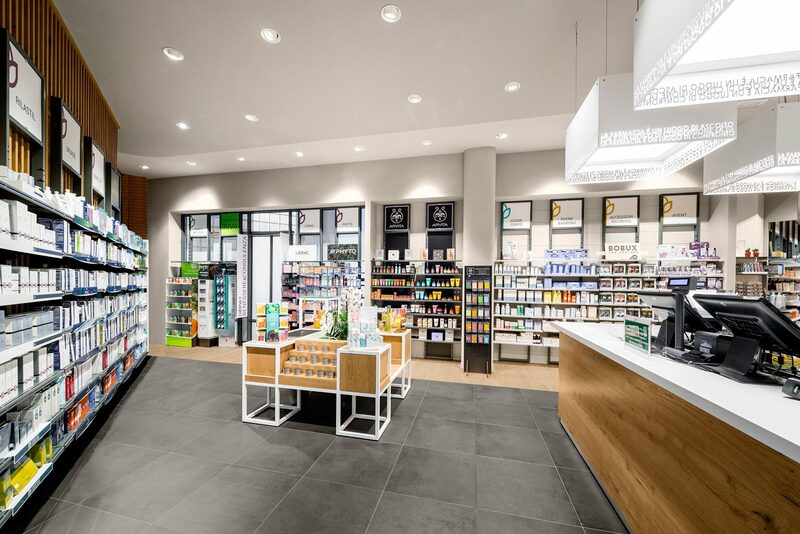 Farmacia Riva focuses on a space featured by natural tone, where customers are invited to live a sensorial and relaxing shopping experience, according to Pharmacy 3.0 concept’s philosophy. 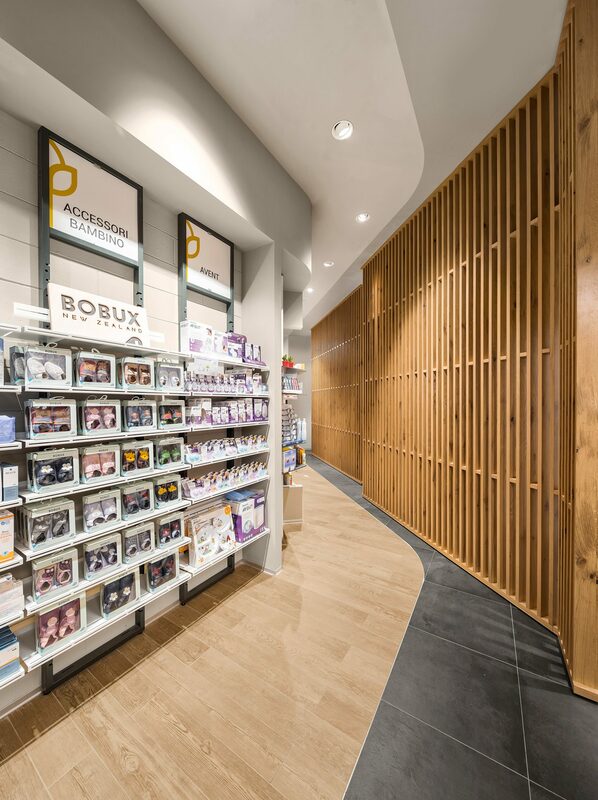 The project set up through a strategic layout oriented to use and accessibility of all sale store spaces. A fascinating ambient that invites customer to enter and to explore every relation space and every interaction area. The client finds itself involved into expositive context, defined by design and visually from material and chromatic alternations and light effects. 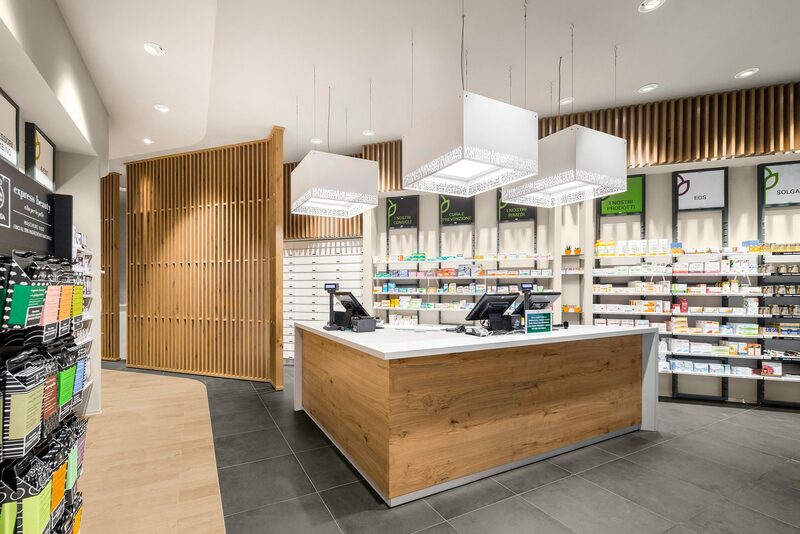 The total result is an ambient featured by a natural style that creates a family atmosphere and invites customer to dedicate to itself in a path on perfect balance with nature. 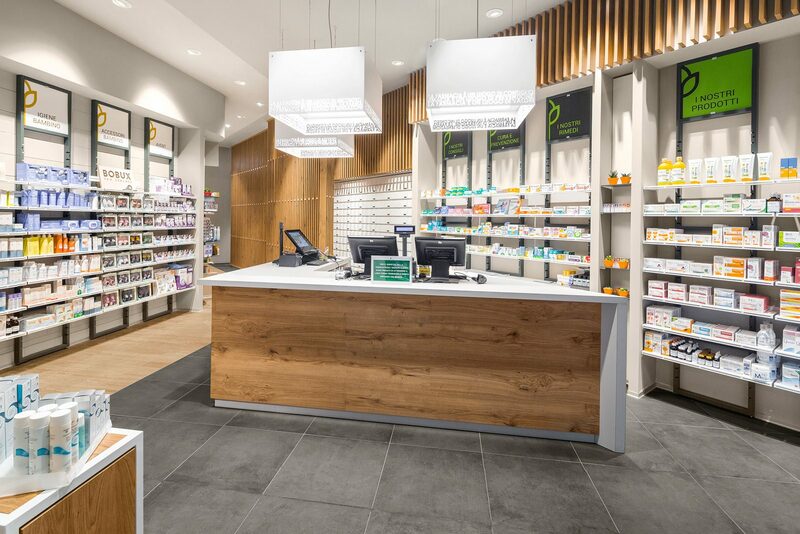 Farmacia Riva ambient increase permanence quality in pharmacy, creating basis for a more authentic relation between pharmacist and customer.